I haven’t posted for a while, so here is one for Spring. Nine year ago, after a Spring rain, I took this macro-photograph in my backyard. This Rosebush has been in my wife’s family for generations. 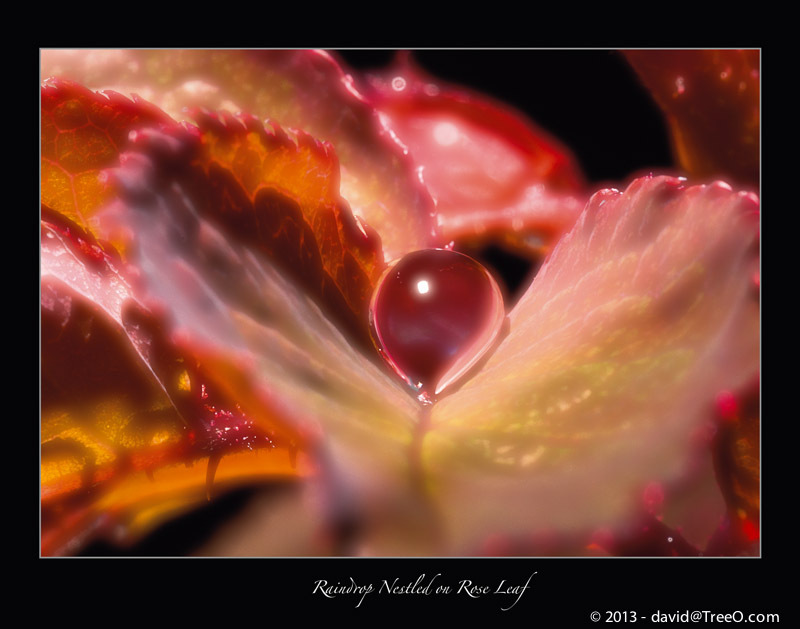 This is one of my favorite water-droplet photographs.